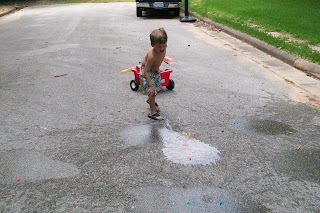 One of Dawson's favorite thing to do during the hot summer months is pop water balloons. 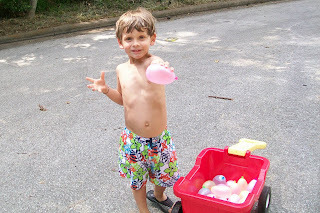 We officially kicked off water balloon season last week and had a great time tossing, throwing, squeezing, and stomping our water balloons. 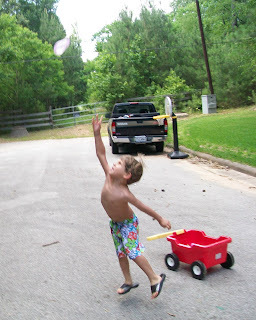 Dawson handing me a water balloon. 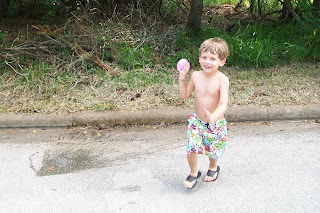 Smiling as he comes after me with a water balloon. Tossing one up high in the air. Squeezing one so it will pop and soak him.